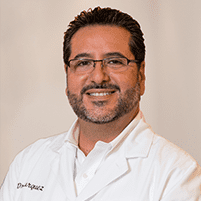 Dr. Burquez has extensive experience in all types of general dentistry, helping patients from throughout the Chula Vista and Bonita, CA, areas find the safest, most effective, most appropriate care for their needs, including routine office visits and preventive care, restorative treatments and cosmetic options. General dentistry includes all the procedures and treatments that help keep your teeth and your gums as healthy as possible. It refers to routine care, like exams and cleanings, and it can also refer to restorative options like fillings and crowns. The American Dental Association (ADA) recommends twice-yearly cleanings, as well as twice-yearly general exams to look for signs of tooth decay and gum disease. Cleaning removes plaque and tartar on tooth surfaces, between teeth and at the gum line, and it's a critically important part of preventing gum disease, which is the top cause of tooth loss for adults in the U.S.
Also called periodontal disease, gingivitis and periodontitis, gum disease often causes no symptoms in its earliest stages, which is why having regular dental cleanings is so important. As the disease progresses, it can cause gums to recede, resulting in increased sensitivity to extreme temperatures, tooth pain, swollen and tender gums, red or bleeding gums, and bad breath. Advanced gum disease causes tooth roots to become loose and weak, and eventually causes affected teeth to fall out. Because the disease causes few or no symptoms in the beginning, the best way to know if you have gum disease is to have regular dental checkups. Yes, today's dental x-ray techniques use very low levels of radiation and they're safe for regular use. They also help you avoid serious oral health issues like gum disease and deep infection that can cause significant pain and other health issues. Oral cancer screening involves a visual exam of the soft tissues of your mouth to look for sores or other suspicious areas. Tiny tissue samples may be taken for further evaluation.